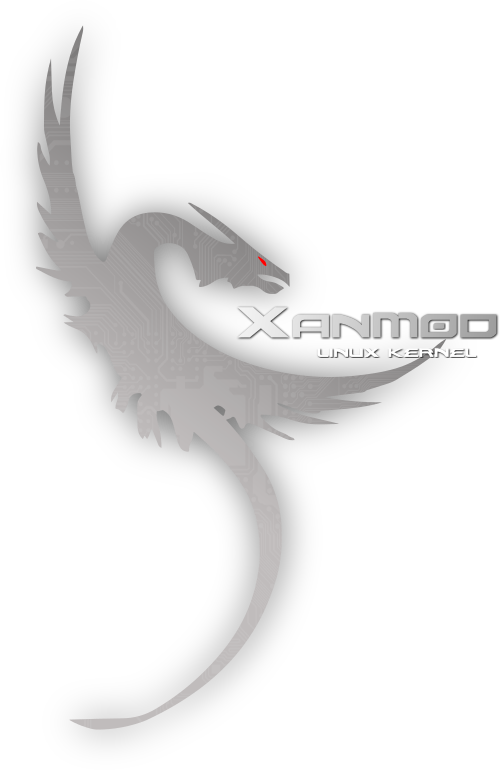 XanMod is a general-purpose Linux kernel distribution with custom settings and new features. Built to provide a more rock-solid, responsive and smooth desktop experience. Supports all recent 64-bit versions of Debian and Ubuntu-based systems. Tuned CPU Core Scheduling & Multi-Queue Block Layer (blk-mq). Preemptive Full Tickless Kernel at 500Hz of Timer Interrupt + HRT. Low Latency BFQ (Budget Fair Queueing) Storage I/O Scheduler. Caching, Virtual Memory Manager and CPU Governor Improvements. ORC Unwinder for Kernel Stack Traces (debuginfo) Implementation. BBR TCP Congestion Control + CAKE Queue Management Algorithm. PDS-mq [4.19][stock disabled], Aufs, Ureadahead and GCC graysky's. Generic kernel package for compatibility with most Debian & Ubuntu based distributions. Built on the latest GCC 8.3. Source code under GPLv2. Can be built for any distribution or purpose. This repository contains the packages: linux image, headers and metadata, cpu microcodes, iproute2 and linux-firmware. Please, send your feedback for constant improvement. To use the CAKE Queue Discipline in systems with systemd (>=217), will need to replace the default fq_codel. Linux: v4.9.90 [inc.patch] | ChangeLog. Linux: v4.4.124 [inc.patch] | ChangeLog. Linux: v4.9.86 [inc.patch] | ChangeLog. Linux: v4.4.120 [inc.patch] | ChangeLog. Linux: v4.9.84 [inc.patch] | ChangeLog. Linux: v4.4.118 [inc.patch] | ChangeLog. Linux: v4.9.82 [inc.patch] | ChangeLog. Linux: v4.4.116 [inc.patch] | ChangeLog. Linux: v4.9.80 [inc.patch] | ChangeLog. Config: Enabled retpoline and kpti features. Linux: v4.4.115 [inc.patch] | ChangeLog. Linux: v4.9.78 [inc.patch] | ChangeLog. Linux: v4.4.113 [inc.patch] | ChangeLog. Linux: v4.9.77 [inc.patch] | ChangeLog. Linux: v4.9.76 [inc.patch] | ChangeLog. Linux: v4.4.111 [inc.patch] | ChangeLog. Linux: v4.9.75 [inc.patch] | ChangeLog. Config: Disabled kernel page table isolation. Linux: v4.9.74 [inc.patch] | ChangeLog. Linux: v4.4.109 [inc.patch] | ChangeLog. Linux: v4.9.73 [inc.patch] | ChangeLog. Linux: Merge v4.14.9 from linux-stable git repository. PDS: v0.98h from from cchalpha/linux-gc git repository. BFQ: Upstream from Algodev-github/bfq-mq git repository. Commits. Linux: v4.9.72 [inc.patch] | ChangeLog. Linux: v4.4.108 [inc.patch] | ChangeLog. Linux: Merge v4.14.8 from linux-stable git repository. Linux: v4.9.71 [inc.patch] | ChangeLog. Linux: v4.4.107 [inc.patch] | ChangeLog. PDS: v0.98g from from cchalpha/linux-gc git repository. CPU Scheduler: Remove muqss patches support. Linux: Merge v4.14.7 from linux-stable git repository. GCC: Debian 7.2.0-18 20171216 r255739. Linux: v4.9.70 [inc.patch] | ChangeLog. Linux: v4.4.106 [inc.patch] | ChangeLog. Linux: Merge v4.14.6 from linux-stable git repository. GCC: Debian 7.2.0-17 20171205 r255408. Linux: v4.9.69 [inc.patch] | ChangeLog. Linux: Merge v4.14.5 from linux-stable git repository. Linux: v4.9.68 [inc.patch] | ChangeLog. Linux: v4.4.105 [inc.patch] | ChangeLog. Config: RQSHARE_SMT=y “SMT (hyperthread) siblings share runqueues”. Linux: Merge v4.14.4 from linux-stable git repository. Linux: v4.9.67 [inc.patch] | ChangeLog. Linux: v4.4.104 [inc.patch] | ChangeLog. Linux: Merge v4.14.3 from linux-stable git repository. Linux: v4.9.66 [inc.patch] | ChangeLog. Linux: v4.4.103 [inc.patch] | ChangeLog. MuQSS: v0.162 w/ rqshare feature from ckolivas/linux git repository. CPU Scheduler: Remove PDS-mq patches support. Config: RQSHARE_MC=y “runqueue sharing multicore siblings”. Linux: Merge v4.14.2 from linux-stable git repository. PDS-mq: v0.98g from cchalpha/linux-gc git repository. Config: Stack metadata validation enabled. Linux: Merge v4.13.16 from linux-stable git repository. Linux: v4.9.65 [inc.patch] | ChangeLog. Linux: v4.4.102 [inc.patch] | ChangeLog. Linux: Merge v4.14.1 from linux-stable git repository. Linux: Merge v4.13.15 from linux-stable git repository. Linux: v4.9.64 [inc.patch] | ChangeLog. Linux: v4.4.100 [inc.patch] | ChangeLog. Block: Set default scheduler to bfq-mq for blk-mq. PDS-mq: v0.98f from cchalpha/linux-gc git repository. GCC: Debian 7.2.0-16 20171115 r254781. Linux: Merge v4.13.14 from linux-stable git repository. Linux: v4.9.63 [inc.patch] | ChangeLog. Linux: v4.4.99 [inc.patch] | ChangeLog. Linux: Merge v4.13.13 from linux-stable git repository. zRam: Add zram deduplication feature. BFQ: Merge last commit 344b0aa from Algodev-github/bfq-mq git repository. Linux: v4.9.62 [inc.patch] | ChangeLog. Linux: v4.4.98 [inc.patch] | ChangeLog. Linux: v4.14.0 from linux-stable git repository. PDS-mq: v0.98e from cchalpha/linux-gc git repository. Block: tuned mq-deadline I/O scheduler by default. Block: Improved sequential I/O performance patchset v10. BFQ: bfq-mq-sq v8r12 + fixes and improvements. CPUFreq: phc-intel 0.3.2 patch for linux 4.1x. fs: Add trace events for Ureadahead. GCC: Debian 7.2.0-12 20171025 r254073. Linux: Merge v4.13.12 from linux-stable git repository. Linux: v4.9.61 [inc.patch] | ChangeLog. Linux: v4.4.97 [inc.patch] | ChangeLog. Dpkg: Downgraded to v1.18.x for compatibility. Linux: Merge v4.13.11 from linux-stable git repository. Block: Invalidate cache on discard v2. Block/SCSI MQ: two RESTART related patches v2. Linux: v4.9.60 [inc.patch] | ChangeLog. Linux: v4.4.96 [inc.patch] | ChangeLog. Linux: Merge v4.13.10 from linux-stable git repository. PDS: Merge PDS-mq to 0.98d. PDS: Set next_balance and the rr_interval = 2ms. PDS: Set sched_yield_type = 1. Linux: v4.9.59 [inc.patch] | ChangeLog. Linux: v4.4.95 [inc.patch] | ChangeLog. PDS: next_balance set to 1/3 of the rr_interval (6ms). Linux: Merge v4.13.9 from linux-stable git repository. PDS: Task deadline catch-up algorithm V3. PDS: Adjust next_balance value (XanMod 2ms). PDS: Set sched_yield_type = 0. GCC: Debian 7.2.0-11 20171017 r253807. Linux: v4.9.58 [inc.patch] | ChangeLog. Linux: v4.4.94 [inc.patch] | ChangeLog. Linux: Merge v4.13.8 from linux-stable git repository. Linux: v4.9.57 [inc.patch] | ChangeLog. Linux: v4.4.93 [inc.patch] | ChangeLog. Block: Improved sequential I/O performance patchset v10 | LKML. Linux: Merge v4.13.7 from linux-stable git repository. Linux: v4.9.56 [inc.patch] | ChangeLog. Linux: Merge v4.13.6 from linux-stable git repository. Config: Set PDS-mq CPU Scheduler by default. PDS: Merge PDS-mq to 0.98b. BFQ: bfq-sq, bfq-mq: fix unbalanced decrements of burst size | Commit. GCC: Debian 7.2.0-8 20171001 r253234. Linux: v4.9.55 [inc.patch] | ChangeLog. Linux: v4.4.92 [inc.patch] | ChangeLog. Config: Set CFS CPU Scheduler by default. Linux: Merge v4.13.5 from linux-stable git repository. Block: More several fixes and improvements for blk-mq | LKML. Linux: v4.9.53 [inc.patch] | ChangeLog. GCC: Debian 7.2.0-7 20170923 r253114. Linux: v4.4.90 [inc.patch] | ChangeLog. Block: Merged fixes and improvements for blk-mq by Ming Lei (RedHat) | Commit. Block: Set BFQ-MQ I/O Scheduler by default | Commit. PDS: Priority and Deadline based Skiplist multiple queue CPU Scheduler v0.98a. CPUFreq: reverted to the default intel_pstate driver. Linux: Merge v4.13.4 from linux-stable git repository. Linux: v4.9.52 [INC.PATCH] | ChangeLog. Linux: v4.4.89 [INC.PATCH] | ChangeLog. Linux: Merge v4.13.3 from linux-stable git repository. BFQ: Merge more fixes and improvements. | Commit. GCC: Debian 7.2.0-5 20170915 r252791. Linux: Merge v4.12.14 from linux-stable git repository. Linux: v4.9.51 [INC.PATCH] | ChangeLog. Linux: Merge v4.13.2 from linux-stable git repository. BFQ: merge fix wrong init of saved start time for weight raising | Commit. GCC: Debian 7.2.0-4 20170906 r251753. Linux: Merge v4.12.13 from linux-stable git repository. Linux: v4.9.50 [INC.PATCH] | ChangeLog. Linux: v4.4.88 [INC.PATCH] | ChangeLog. Linux: Merge v4.13.1 from linux-stable git repository. Linux: Merge v4.12.12 from linux-stable git repository. Linux: v4.9.49 [INC.PATCH] | ChangeLog. Linux: Merge v4.12.11 from linux-stable git repository. GCC: Debian 7.2.0-3 20170901 r251583. Linux: v4.9.48 [INC.PATCH] | ChangeLog. Linux: v4.4.87 [INC.PATCH] | ChangeLog. BFQ: v8r12 + updates (SQ/MQ) [PATCH]. Config: Set BFQ-SQ I/O Scheduler by default. First release of 4.13 series. Linux 4.13.0 from linux-stable git repository. Tuned CFS CPU Scheduler by default. Linux: Merge v4.12.10 from linux-stable git repository. Linux: v4.9.46 [INC.PATCH] | ChangeLog. Linux: v4.4.85 [INC.PATCH] | ChangeLog. Linux: Merge v4.12.9 from linux-stable git repository. Linux: v4.9.45 [INC.PATCH] | ChangeLog. Linux: v4.4.84 [INC.PATCH] | ChangeLog. Linux: Merge v4.12.8 from linux-stable git repository. Linux: v4.9.44 [INC.PATCH] | ChangeLog. Linux: v4.4.83 [INC.PATCH] | ChangeLog. Linux: Merge v4.12.7 from linux-stable git repository. Linux: v4.9.43 [INC.PATCH] | ChangeLog. Linux: v4.4.82 [INC.PATCH] | ChangeLog. Merge to Linux 4.12.6 from linux-stable git repository. Update to Linux 4.9.42 from mainline. Update to Linux 4.4.81 from mainline. Update to Linux 4.9.41 from mainline. Kernel Config: Full preemption w/ RCU Boost. Kernel Config: RCU Boost delay to 500. Kernel Config: Kthread priority = 3. GCC Debian 7.1.0-10 20170722 r250453. Update to Linux 4.4.80 from mainline. Merge to Linux 4.12.5 from linux-stable git repository. Merge to Linux 4.12.4 from linux-stable git repository. Update to Linux 4.9.40 from mainline. Update to Linux 4.4.79 from mainline. Merge to Linux 4.12.3 from linux-stable git repository. CPUFreq: Intel CPUFreq (P-State passive mode) by default. Merge to Linux 4.11.12 from linux-stable git repository. Update to Linux 4.9.39 from mainline. Update to Linux 4.4.78 from mainline. Merge to Linux 4.12.2 from linux-stable git repository. Merge to Linux 4.11.11 from linux-stable git repository. Update to Linux 4.9.38 from mainline. Update to Linux 4.4.77 from mainline. Merge to Linux 4.12.1 from linux-stable git repository. Merge to Linux 4.11.10 from linux-stable git repository. Aufs: Update to aufs4.11.7+ 20170703. Update to Linux 4.9.37 from mainline. Aufs: Update to aufs4.9 20170703. Kernel Config: Set CFQ I/O Scheduler by default. First release of 4.12 series. BFQ-MQ I/O Scheduler by default. For moderns Intel's CPU: Intel P-State by default. Merge to Linux 4.11.9 from linux-stable git repository. Update to Linux 4.9.36 from mainline. Update to Linux 4.4.76 from mainline. Merge to Linux 4.11.8 from linux-stable git repository. Update to Linux 4.9.35 from mainline. Update to Linux 4.4.75 from mainline. Merge to Linux 4.11.7 from linux-stable git repository. Update to Linux 4.9.34 from mainline. Merge to Linux 4.11.6 from linux-stable git repository. Page Writeback: dirty_background_ratio = 5 & dirty_ratio = 20. Kernel Config: Set voluntary kernel preemption. Kernel Config: Kthread priority = 1. Aufs: Update to aufs4.11 20170612. Update to Linux 4.9.33 from mainline. Kernel Config: Enabled Intel P-State driver by default. Update to Linux 4.4.73 from mainline. Merge to Linux 4.11.5 from linux-stable git repository. Update to Linux 4.9.32 from mainline. Update to Linux 4.4.72 from mainline. Merge to Linux 4.11.4 from linux-stable git repository. Update to Linux 4.9.31 from mainline. Kernel Config: Set RCU Boost delay to 100. Update to Linux 4.4.71 from mainline. MuQSS CPU Scheduler: Updated to v0.156. Aufs 4.x-rcN 20170522 support available. Merge to Linux 4.11.3 from linux-stable git repository. Kernel Config: Set HD-audio pre-allocated buffer size to 2048. CPUFreq Ondemand: Set sampling_down_factor to 100. Update to Linux 4.9.30 from mainline. Update to Linux 4.4.70 from mainline. Merge to Linux 4.11.2 from linux-stable git repository. Kernel Config: Set RCU Boost delay to 0. CPUFreq Ondemand: Set min_frequency_up_threshold to 1. CFQ I/O Scheduler by default. Update to Linux 4.10.17 from mainline. Kernel Config: CPUFreq Performance by default. Update to Linux 4.9.29 from mainline. Update to Linux 4.4.69 from mainline. Merge to Linux 4.11.1 from linux-stable git repository. Update to Linux 4.10.16 from mainline. Update to Linux 4.9.28 from mainline. Update to Linux 4.4.68 from mainline. MuQSS v0.155 CPU Scheduler by default. BFQ I/O Scheduler v8r11 by default. Update to Linux 4.10.15 from mainline. Update to Linux 4.9.27 from mainline. Update to Linux 4.4.67 from mainline. First release of 4.11 series. Update to Linux 4.10.14 from mainline. Update BFQ I/O scheduler v8r11. Update to Linux 4.9.26 from mainline. Update to Linux 4.4.66 from mainline. Update to Linux 4.10.13 from mainline. Update to Linux 4.9.25 from mainline. Update to Linux 4.4.64 from mainline. Update to Linux 4.10.12 from mainline. Update to Linux 4.9.24 from mainline. Update to Linux 4.4.63 from mainline. Update to Linux 4.10.11 from mainline. Update to Linux 4.9.23 from mainline. Update to Linux 4.4.62 from mainline. Update to Linux 4.10.10 from mainline. Update to Linux 4.9.22 from mainline. Update to Linux 4.4.61 from mainline. Update to Linux 4.10.9 from mainline. Update to Linux 4.9.21 from mainline. Update to Linux 4.4.60 from mainline. Update to Linux 4.10.8 from mainline. Update to Linux 4.9.20 from mainline. Merge schedutil cpufreq governor from 4.10 branch. Set kernel config. schedutil governor by default. Update to Linux 4.4.59 from mainline. Update to Linux 4.10.7 from mainline. Update to Linux 4.9.19 from mainline. Add block buffered writeback throttling support. Update to Linux 4.4.58 from mainline. Deadline I/O Scheduler by default. Set kernel config. Single queue writeback throttling. Update to Linux 4.10.6 from mainline. Update to Linux 4.9.18 from mainline. Update to Linux 4.4.57 from mainline. Update to Linux 4.10.5 from mainline. Update to Linux 4.9.17 from mainline. Update to Linux 4.4.56 from mainline. Update to Linux 4.10.4 from mainline. Update to Linux 4.9.16 from mainline. Update to Linux 4.4.55 from mainline. Update to Linux 4.10.3 from mainline. ACPI CPUFreq Governor by default. Update to Linux 4.9.15 from mainline. Update to Linux 4.4.54 from mainline. Update to Linux 4.10.2 from mainline. MuQSS v0.152 CPU Scheduler by default. Update to Linux 4.9.14 from mainline. MuQSS v0.150 CPU Scheduler by default. Update to Linux 4.4.53 from mainline. First release of 4.9 MuQSS series. Update to Linux 4.10.1 from mainline. Set RCU kthread priority to 3. Update to Linux 4.9.13 from mainline. Update to Linux 4.4.52 from mainline. Update to Linux 4.9.12 from mainline. Update to Linux 4.4.51 from mainline. Kernel configuration rev 3, commit ae2f45d. First release of 4.10 series. Update to Linux 4.9.11 from mainline. Enabled Preemption w/ RCU Boost, commit 882ef0e. Update to Linux 4.4.50 from mainline. New kernel setting to improve responsiveness, commit 5dd727a. Update to Linux 4.9.10 from mainline. Update to Linux 4.4.49 from mainline. Update to Linux 4.9.9 from mainline. Update to Linux 4.4.48 from mainline. Enabled Preemption to improve smoothness w/ MuQSS. Update to Linux 4.9.8 from mainline. Update to Linux 4.4.47 from mainline. Update to Linux 4.9.7 from mainline. Update to Linux 4.4.46 from mainline. Update to Linux 4.9.6 from mainline. Set to default O2 optimization. Update to Linux 4.4.45 from mainline. Update to Linux 4.9.5 from mainline. Update to Linux 4.4.44 from mainline. Add trace events patch for Ubuntu's ureadahead. Update to Linux 4.9.4 from mainline. Update to Linux 4.4.43 from mainline. Update to Linux 4.9.3 from mainline. Update to Linux 4.4.42 from mainline. Update to Linux 4.9.2 from mainline. Update to Linux 4.8.17 from mainline. Update to Linux 4.4.41 from mainline. Update to Linux 4.9.1 from mainline. Update to Linux 4.8.16 from mainline. Update to Linux 4.4.40 from mainline. Disabled front_merges of Deadline I/O Scheduler. BFQ v8r6 I/O scheduler support available. Update to Linux 4.8.15 from mainline. Enabled front_merges of Deadline I/O Scheduler. Update to Linux 4.4.39 from mainline. First release of 4.9 series. Update to Linux 4.8.14 from mainline. Update to Linux 4.4.38 from mainline. Fix full multithreading I/O requests rev 2. Update to Linux 4.8.13 from mainline. Set full multithreading I/O requests by default. Update to Linux 4.4.37 from mainline. Update to Linux 4.8.12 from mainline. Update to Linux 4.4.36 from mainline. Update to Linux 4.8.11 from mainline. GCC align functions at 32-byte boundary. Increased SCHED_OTHER threads to 128. Update to Linux 4.4.35 from mainline. Update to Linux 4.8.10 from mainline. Update to Linux 4.4.34 from mainline. Update to Linux 4.8.9 from mainline. Set I/O Block & Deadline Scheduler for better latency rev 4. Update to Linux 4.4.33 from mainline. Update to Linux 4.8.8 from mainline. Update to Linux 4.4.32 from mainline. Update to Linux 4.8.7 from mainline. SCHED_OTHER (CFS) latency/min_granularity at 400/200µs rev 5. Update to Linux 4.4.31 from mainline. Update to Linux 4.4.30 from mainline. Update to Linux 4.8.6 from mainline. Update to Linux 4.4.29 from mainline. Update to Linux 4.8.5 from mainline. Increased SCHED_OTHER threads to 64. SCHED_OTHER (CFS) latency at 150µs. Update to Linux 4.4.28 from mainline. Fixed last source XanMod to 4.7.10 patch. Fixed last source XanMod to 4.4.27 patch. Update to Linux 4.8.4 from mainline. Set timer interrupt and CFS to 500Hz/400µs. Update to Linux 4.7.10 from mainline. Update to Linux 4.4.27 from mainline. Update to Linux 4.8.3 from mainline. BFQ v8r4 I/O scheduler support available. Update to Linux 4.7.9 from mainline. Update to Linux 4.4.26 from mainline. Update to Linux 4.8.2 from mainline. Update to Linux 4.7.8 from mainline. Update to Linux 4.4.25 from mainline. Update to Linux 4.8.1 from mainline. Increased VM memory dirtys ratio. Update to Linux 4.7.7 from mainline. Tuned Deadline I/O Scheduler by default. Update to Linux 4.4.24 from mainline. First release of 4.8 series. Update to Linux 4.7.6 from mainline. I/O Scheduler Queue improvements for performance. NOOP I/O Scheduler by default. Update to Linux 4.4.23 from mainline. Update to Linux 4.7.5 from mainline. Update BFQ v8r3 I/O scheduler. Set Westwood+ TCP congestion control by default. Update to Linux 4.4.22 from mainline. Update to Linux 4.7.4 from mainline. Update to Linux 4.4.21 from mainline. Update to Linux 4.7.3 from mainline. Update to Linux 4.4.20 from mainline. Update to Linux 4.7.2 from mainline. Update to Linux 4.4.19 from mainline. Update to Linux 4.4.18 from mainline. Update to Linux 4.6.7 from mainline. Update to Linux 4.7.1 from mainline. Update to Linux 4.6.6 from mainline. Update to Linux 4.4.17 from mainline. SCHED_OTHER (CFS) performance improvements for interactivity. BFQ v8 I/O scheduler support available. Update to Linux 4.6.5 from mainline. Update to Linux 4.4.16 from mainline. First release of 4.7 series. Update to Linux 4.6.4 from mainline. Update to Linux 4.4.15 from mainline. Resolved freezes at high swap workloads. Disable Full tickless mode. DRM AMDGPU on GCN 1.1 support available (CONFIG_DRM_AMDGPU_CIK=y). Update to Linux 4.6.3 from mainline. Core scheduler balanced to reduce latency of real-time tasks. Set timer interrupt frequency to 625Hz. Kernel full tickless mode enabled. Update to Linux 4.4.14 from mainline. Tuned CFQ I/O scheduler by default. More optimized x86_64 core (CONFIG_OPTIMIZED_CPU=y). Update to Linux 4.6.2 from mainline. Update to Linux 4.4.13 from mainline. Update to Linux 4.6.1 from mainline. Update to Linux 4.4.12 from mainline. First release compiled with GCC 6. Update to 4.5.5 from mainline. Update to 4.4.11 from mainline. First release of 4.6 series. Update to 4.5.4 from mainline. Update to 4.4.10 from mainline. Update to 4.5.3 from mainline. Set dirty ratio to 6% and dirty background ratio to 3%. Update to 4.4.9 from mainline. CFQ more refined for performance. Update to 4.4.8 from mainline. Update to 4.5.2 from mainline. Update to 4.4.7 from mainline. CFS adjustments for better multitasking. Update to 4.5.1 from mainline. CFQ w/ more parallel I/O requests. Upstream to 4.4.6 from mainline. Upstream to 4.4.5 from mainline. Linux mainline is code base now. CFS CPU scheduler tuned for better responsiveness. Use memory dirty writeback from Zen Interactive concept. Upstream to 4.4.4 from mainline. Add IRQ threading by default config. Upstream to 4.4.3 from mainline. Upstream to 4.3.6 from mainline. Upstream from pf-Kernel pf-4.4, last commit cb7fa57. BFS CPU scheduler v0.466 w/ VRQ3 patchset, last commit 7d189bb. Fix Kconfig BFQ dependency on BLK_CGROUP. Upstream from pf-Kernel pf-4.4, last commit bd0703f. CPUFreq ondemand governor tuned for more performance. CPUFreq is default for all processors now. Upstream to 4.3.5 from mainline. Upstream from pf-Kernel pf-4.4, last commit 9c01d1e. BFS CPU scheduler v0.466 w/ VRQ2 patchset. Upstream to 4.3.4 from mainline. Set timer interrupt frequency to 500hz. Set cache pressure to '75'. Set uksmd nice priority to '15'. BFQ I/O-scheduler v7r11 from bfq's git, last commit c53f28a. Upstream from pf-Kernel pf-4.4, last commit 18520a9. BFS CPU scheduler v0.466 w/ VRQ patchset. YeAH TCP congestion control now is default. Set Zswap compressor to LZ4. Upstream from pf-Kernel pf-4.3, last commit b8572cc. Upstream merge 4.2.8 from mainline. Upstream from pf-Kernel pf-4.3, last commit d995559. Upstream from pf-Kernel pf-4.3, last commit f9c49d8 (VRQ1 patchset). Fix merge from linux 4.3.2 mainline. Upstream merge 4.2.7 from mainline. Compiled w/ new GCC 5.3.1 revision 20151206. Core compression set to XZ format. Upstream from pf-kernel pf-4.3, last commit dc19fc3. New BFS v0.465 patchset VRQ0. Timer interrupt frequency set to 1000hz. Timer interrupt frequency set 300hz. Upstream merge 4.2.6 from mainline. Upstream from pf-kernel pf-4.3, last commit 8973496. Rehabilitated gcc optimizations w/ inline-functions fix. Reduced level optimization of GCC. Curiously, improves latency performance. New Debian packaging method and build. New structure of kernel, more clean. Fix problem w/ symbolic links. Compiled w/ new gcc revision 20151022. Set advanced instructions for modern CPUs. Update to 4.2.5 from mainline. Renew kernel config for more performance, stability and debugging support. Fix smp_preempt bug of -gc and -vrq: v4.2_0463_3_vrq2 by Alfred Chen. Rehabilitated debug preempt kernel config. BFS CPU scheduler v0.463 by Con Kolivas. BFS enhancement patchset v4.2_0463_2_vrq1 by Alfred Chen. Upstream pf-Kernel fix merge conflict, mainline 4.2.4 base. Disabled debug preempt kernel config. Update GCC to 5.2.1 20151010. Financial resources are needed to develop and maintain the repository server active. Any amount will help a lot. Linux® is the registered trademark of Linus Torvalds, owner of the mark on a world-wide basis.